June 18, 2016 | ProgressTH An upcoming workshop at Queen Sirikit National Institute of Child Health (QSNICH), a children's hospital located in Bangkok, Thailand, aims to empower nurses, doctors, and other healthcare professionals with the tools and techniques now common among the world's growing maker movement. 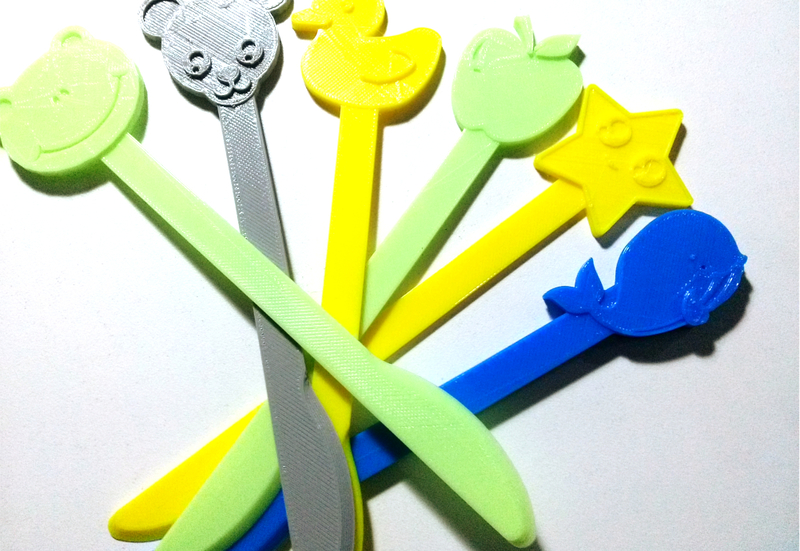 Prototypes of a 3D printed needle disposal system produced in larger numbers for testing throughout the hospital. 50 in total will be produced and tested before larger numbers are approved of for general use. The workshop aims to teach attendees specifically the basics of 3D design and 3D printing to give hospital staff a better understanding of what makerspaces can offer in terms of collaborating with hospitals in the field of rapid prototyping and innovation. QSNICH staff are already working together with local makerspace ProgressTH on several projects involving the prototyping and testing of various healthcare-related devices. These include a low-cost needle disposal system, a dermatology tool designed specifically for children, a blood clotting device, and a bed-leveling system. Prototypes of a kid-friendly dermatology tool used for removing excess skin from patients suffering from certain conditions. The final version will most likely be a friendly plastic cover used as a handle for stainless steel instruments specifically made for medial applications. QSNICH's innovation department is tasked with taking ideas and improvised solutions from hospital staff, and transforming them into permanent solutions and even products the hospital can supply to other healthcare institutions. The process is slow because traditional manufacturing favors mass production over the sort of highly-customized and short-run nature of manufacturing medical-related innovations. 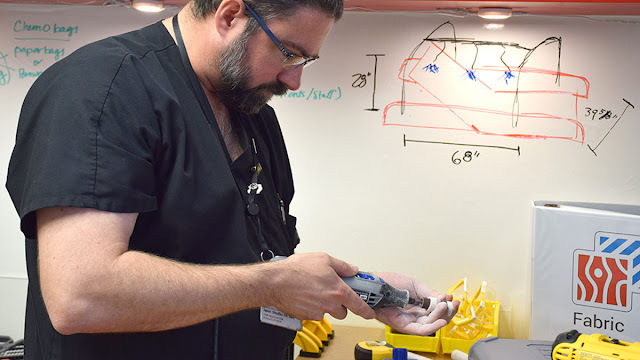 That's why makerspaces, with 3D printers, laser cutters, and a whole host of tools and techniques designed specifically for rapid prototyping, short-run production, and highly-customized solutions make a perfect match for the innovation departments within hospitals. The ultimate goal for ProgressTH is to eventually assist QSNICH in setting up a makerspace inside the hospital's innovation department itself. This will give the hospital's staff direct access to the tools and techniques used at makerspaces around the world. It will also reduce the time and costs involved in producing prototypes and short-run solutions. This has already been done elsewhere, for example, in the United States through MIT's MakerNurse program. However, as seen in Thailand, neither hospitals nor makerspaces require the resources MIT possesses to foster similar collaboration (though such resources certainly couldn't hurt!). QSNICH's collaboration with ProgressTH over the past several months has produced a handful of prototypes with several now produced in larger numbers for testing throughout the hospital. While this process may seem slow to makers accustomed to designing and producing as many prototypes within a week, for hospital staff who came up with some of these innovative ideas years ago but who had no means to realize them, having tangible iterations of their designs placed into their hands almost every month has been a huge leap forward. The needle disposal system is particularly interesting. Hospital staff were using an expensive commercial solution, however, they wanted to reduce costs and add customized features nurses thought would be helpful. They themselves took leftover plastic containers and modified the threaded caps to help in removing needles from syringes. Repurposing existing containers certainly reduced costs, but in order to use this solution across the entire hospital, many would have to be modified and the results would be inconsistent and unprofessional. 3D printing allowed for the creation of a customized cap designed specifically for removing needles from syringes and depositing them into the plastic containers already in use by the hospital. 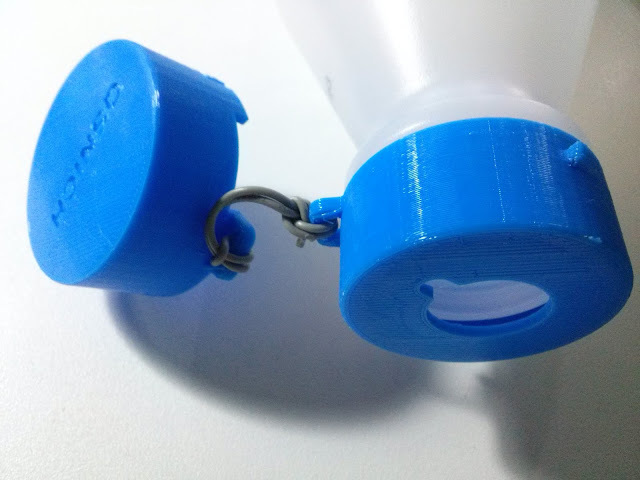 The 3D printed cap includes a cover to place over the cap when not in use. Up to 50 of these will be delivered to the hospital for testing, each identical thanks to the precision of 3D printing. If and when nurses need more, ProgressTH simply needs to switch on their 3D printer and hit "print." "The final result is innovation in healthcare, minus the tremendous cost generally associated with such progress." It takes 1 hour to produce each cap and at a discounted cost of around 30 THB (1 USD). 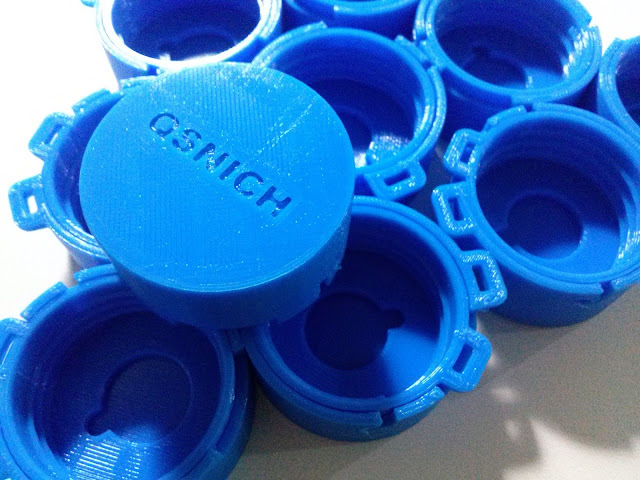 If QSNICH had their own printer in-house, the cost of the plastic used would be about 14 THB (40 cents) for each cap. At any point during production of these caps, they can be redesigned without any additional changes needed in "tooling" since 3D printers are just as happy to print your new design as they were printing your old design. As long as a hospital didn't need 50-100 of these sort of caps regularly (monthly or more frequently) they could produce the caps on demand as they needed them without ever having to go to a factory and have them mass produced. As 3D printing and other means of personal manufacturing improve in quality and efficiency, and as costs go down further both to purchase the machines themselves and the costs of producing items with them, this may match or even outperform traditional mass manufacturing. With a makerspace working directly with a hospital or placed inside the hospital itself, time and resources required to produce new innovations would be greatly reduced. The final result is innovation in healthcare, minus the tremendous cost generally associated with such progress. Hopefully, as this becomes more common across modern healthcare, the savings and increased speed of innovation will have a direct and positive impact on patients.